Welcome to 2019! Hopefully by now you’re managing to ease yourself back into things, no doubt with good intentions for the year ahead. I’m doing likewise, but my return to work started with a long flight to the West Coast of the USA, to attend San Francisco for the JP Morgan Healthcare conference. It’s an event I’ve heard much about, often with a sense of ‘anyone who’s anyone is at JP Morgan’. However, it’s not been a major priority for me because my perception was always that it was purely about the finance and investment side of the industry, rather than the more interesting (for me personally) areas of scientific research, commercialisation, patient engagement and digital health. But this year, on a recommendation from a friend, I decided to go and check it out in an ‘under the radar’ type way, to see what all the fuss was about. The first thing to note is that when I say ‘under the radar’ I mean not officially attending the meeting itself. Securing tickets for the actual JP Morgan sessions, held at the Westin St. Francis Hotel on Union Square, seems to be a bit like trying to find a golden ticket from Willy Wonka in your chocolate bar. So far as I can see (at least when going last minute as I only decided to go in December), you can’t register for a ticket on the official JP Morgan website, but have to be exclusively invited. How you get invited remains a mystery and will be something I investigate in more detail if I go next year, but I suspect it has something to do with knowing someone who knows someone, then being able to deliver the right type of handshake at the right time. It’s a bit of an ego crusher, because it maybe just means I’m not important enough! But I soon realised once there that I was probably in the majority of attendees, who were ‘in San Francisco for JP Morgan’, but not ‘in San Francisco at JP Morgan’. However, in reality (and with no disrespect to the calibre of the official sessions, which sounded pretty cool), for my first visit it didn’t really matter. As life science investor Bruce Booth noted in his recent blog on the event, it’s become a healthcare ‘hyper-networking event’ with most of the meetings happening outside the Westin, in other hotels, coffee shops and meetings rooms around Union Square and the broader city. 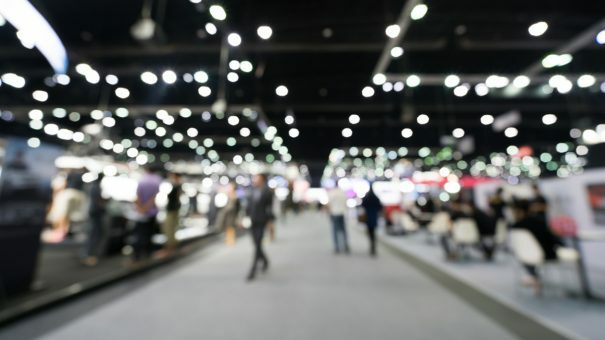 In fact, a multitude of surrounding events have sprung up, including the fantastic Startup Health Festival, which featured a stunning array of digital health startups. In addition, there is so much media flying around about key announcements from the event, that it’s pretty easy to follow what’s going on in the official sessions while you’re out and about meeting folks. While recognising the enormous value of JP Morgan as a networking event, Booth also noted in his blog some negative points about attending, which I could resonate with. Firstly, the opportunism created by everyone being in town means everything costs more – fairly average hotel rooms can easily be over $1,000 per night (I stayed over the bay to escape this) and securing a meeting room for any serious length of time requires investment akin to the GDP of a small country. Secondly, there is a notable lack of the patient voice at JP Morgan Healthcare. Maybe as a primarily investment-focussed event it’s not the most appropriate place for patients, and you have to question what value they would get from it, but given the sheer number of senior industry executives around it might be smart to think about factoring in some sessions that remind them what their work is really about. Finally, like Booth, I was also shocked at the levels of homelessness in San Francisco, and the sheer contrast between the ‘haves’, who were the suited business people and the ‘have nots’, who were living on almost every street. Speaking to local people, it’s apparently a sad side effect of so much industry (mainly tech) pouring into the area and raising rents, which pushes out those on lower incomes. It’s a stark reminder that where there is rapid success and investment, there is also a responsibility to look after those who are not so lucky. Notwithstanding these relevant points, I have to say my overall impression of JP Morgan was positive, and it’s something I would definitely go back for next year. For sure, the networking aspect and ability to capitalise on so many people being in the same place is important. I scheduled my trip with a few meetings pre-arranged over the four days I was there but ended up meeting 5-10 interesting folks every day as people got to know I was in town. Some highlights for me included chatting with William Hait, Johnson & Johnson’s Global Head of External Innovation (expect to see this interview published soon), seeing the Novartis Biome first hand, getting a tour of the Proteus Digital Health facility in Hayward where they make the ingestible sensors that go in their digital medicines, finally meeting some friends from the LinkedIn healthcare team in person at their impressively large offices and…seeing seals swimming in the bay. But what I found really interesting was how much my perception of the event was different to the reality. This wasn’t just about investors, deal making and the ‘who’s who’ of big pharma. This was about the amazing confluence of science, technology and finance. Whatever your critique or scepticism of each of these industries may be, there is no doubt each of them is a critical ingredient in delivering better healthcare solutions, quicker, to patients that really need them. We will always need good science to bring new medicines to market, we need technology to help diagnose disease earlier and help us manage our conditions and lifestyle for better health, and we need money to make it all happen. I’m already planning for JP Morgan next year and how pharmaphorum can do something bigger around it, so maybe I’ll see you there. You never know, I may even get an invite for 2020! Dr Paul Tunnah founded pharmaphorum in 2009, which is a content and communications company offering industry leading publications (www.pharmaphorum.com) and a strategic consultancy (www.pharmaphorumconnect.com). He is a recognised author, speaker and industry advisor on content marketing, communications and digital innovation, having worked with many of the world’s leading pharmaceutical companies and the broader ecosystem of healthcare organisations. Connect with Dr Tunnah at https://www.linkedin.com/in/paultunnah/ or email paul.tunnah@pharmaphorum.com.